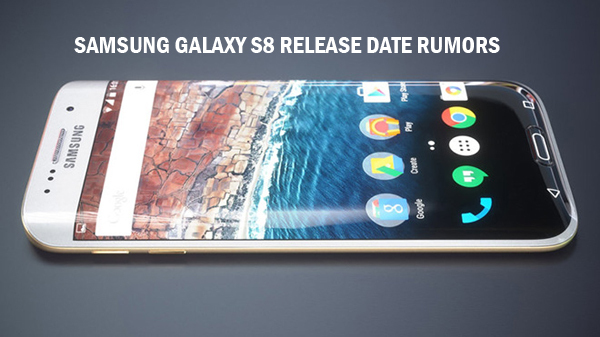 The Samsung Galaxy S8 is coming for sure and the Galaxy Note 7 debacle has actually made people more interested in the device than ever before as everybody is waiting to see what Samsung does in order to redeem themselves after the embarrassing Note 7 saga. Although it's still quite a few months away, here's what we know/heard about it so far. Since Samsung confirmed officially that the S8 won't see an early launch in 2017, it is almost certain that the smartphone will be unveiled a day prior to the MWC 2017, on February 26. This has been the tradition with Samsung's S-series so far and they don't seem eager to break it. Others: Iris scanner, USB Type-C, support for Google Daydream VR project and according to an official statement by Samsung, "enhanced artificial intelligence service." The Galaxy S8 could feature a Full-screen dual curved display without any physical buttons in front; although they won't be the first to do so anymore. We will keep you informed as more concrete support for (or against) these specs are revealed in the course of the next few months leading to February 26.